Electronic Music is less about attaining or demonstrating a level of virtuosity, but more an examination of the inner self. One of its most significant attributes is the ability to transfer to the listener the inner condition of the composer, or a condition completely imagined by the composer. With a name like Glacial Movements one would imagine that releases from this label will conjure up visions of tundral landscapes or boreal lands. Over the Summit (57'20") by Netherworld certainly does this, and more. 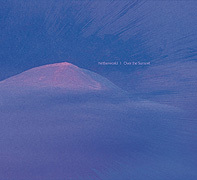 This album transfers its frigid message in six subdued ambient works. Using nothing more than variations in timbre Netherworld (a.k.a. 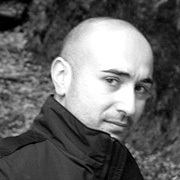 Alessandro Tedeschi) produces a sonic experience aligned with a frozen nocturnal realm. The character of the sounds used in each of the pieces range from the rounded and consonant to the brittle and dissonant - for a perfect icy mix of harmonious designs and anomalous forms. In a few spots Tedeschi mixes in a voice, faded low and beneath reverb - adding to the ever-growing mystery of this CD. The result is a genuinely unique sustaining and uncannily cold atmosphere - drawn from frostbound landscapes and the bitter expanse.